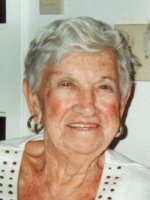 SLINGERLANDS – Mildred M. Constant, 95, of Marie Rose Manor, Slingerlands, died peacefully on Sunday, December 28, 2014, at Albany Memorial Hospital. Mildred was born on March 5, 1919 to Marion and Robert Decker. She is survived by her daughters Arlene Sofia (Larry), Karen Gatto (Sam), and Sylinda Reed; her grandchildren Michael Sofia, Christopher Sofia, Anthony Gatto, Kelly Lynn, and Gilbert Coutouos; and by many great grandchildren and great great grandchildren. She was predeceased by her former husband James Neander, her husbands Robert Reed and Wilford Constant, and her sister Ruth Gombel. The family would like to thank the staff and residents of Marie Rose Manor who were so kind and helpful to Mildred. Funeral services will be held privately at the convenience of the family. There will be no calling hours. Arrangements have been entrusted to the Hans Funeral Home, Albany. In lieu of flowers, memorial contributions may be made to the Mohawk Hudson Humane Society, 3 Oakland Ave., Menands, NY 12204. To leave a message of condolence for the family, please visit www.HansFuneralHome.com. Sorry to hear of Millie’s passing. May she rest in peace. Im very sorry to hear of your loss. May you find comfort in knowing she is at peace. You are all in my thoughts and prayers. .
What a beautiful video…she had a good life. My prayers to your family. She enjoyed the pool so much. Now she’s in the arms of the angels. I was so sorry to hear of Millie’s passing. May her family be sustained by fond memories. God Bless you Millie, may you rest in peace.